I have a number of bottles of wine society wine and a number of them dont show the units of alcohol in the bottle. No. It is not a legal requirement. Alcohol by volume and capacity are. I bought a mixed range of wines from the sale at another merchant just recently. 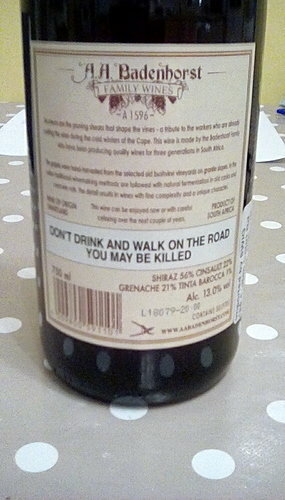 Out of about 40 bottles only 3 carry the warnings, one so small it would need a high-powered magnifying glass to read. Yet I seem to recall seeing it more commonly on supermarket wines. Am I imagining that? The Wine Society are not one of the companies? How would that work on the sort of wines that merchants (as opposed to shops) sell? Presumably by adding another back label? At what point do we say that it’s not rocket science to work out the number of units you have in a bottle (if you want to track your alcohol intake that way) - given we are relatively knowledgeable customers - ? 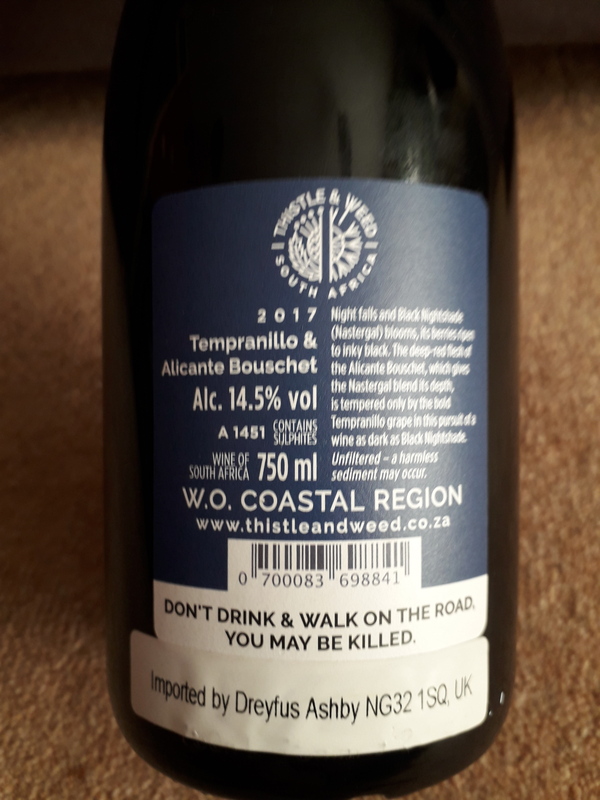 The labelling rules are odd, South African wines always have huge sometimes humorous warnings on the label, USA ones have huge importer labels. It would help if we never invented the “unit” as measurement of alcohol volume, and just stuck with cl to define recommended drinking limits. Is that Secateurs? Precisely the ones I was thinking about! There’s another winery that was great with them too too, might have been Raats? that its easiest to take a bottle of wine as containing 11 Units. The units per serving is meaningless imo as very few people are using standard measures. Its easy if i am drinking at home. If i go out for a meal i have a large glass of wine with the meal . I dont often go out for a meal where i would drink wine. Say once a month. Before i was married it was easy to drink too much . My solution to that was not to have any alcoholic beverage in the house. Ha! yes, indeed. It’s probably another tick box exercise - a bit like ‘Drink Responsibly’. What does that mean? If you know what it means, you’re already doing it. The other day I saw a graffiti next to the pool I go to; it said “Nuke responsibly”. It made me chuckle. Thats the problem is it not. If you live on your own and you drink too much and you become ill it can cause inconvenience and expense to others. If like most people you rely on the national health service then the rest of the taxpayers will be paying for your medical treatment. Because your taxes wont be enough. After the whole B****t disaster we aren’t going to have an NHS. And having a nanny-state unit warning isn’t going to stop me (or anyone else) having a few extra glasses anyway. Makes sense! So naturally they choose the amusing ones.